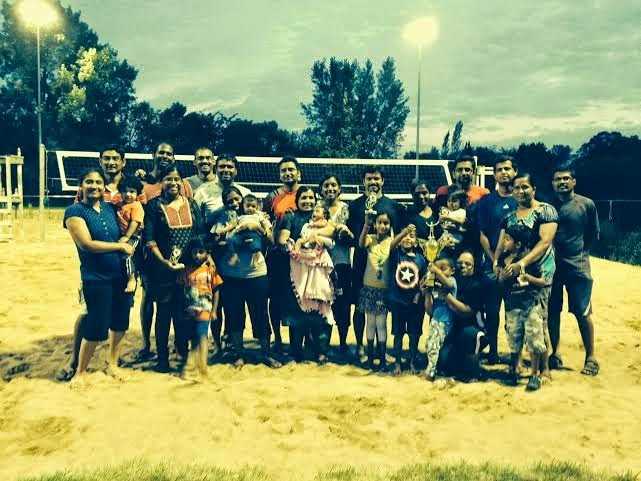 Team BM won the runners up title this year 2014 at the Sand VB Tournament. Everyone went with kids early but Ritvik had a bday party and I did not want to go early with the baby, so we left him at 4 for his party and then me, baby and mommy went to the park. We saw the semi-finals which our team won comfortably. Then there was the women's finals which I did not watch as I had to pick my son from his party. We returned and the match started. We won the 1st set and was almost winning the second but 2-3 mistakes cost our team dearly and we lost the 2 sets against them. So ended up being Runner's up this time.